Assignare Locus, the computer scientists equivalent of Expecto Patronum. This is the final blog in the trilogy, I am going to summarise the rest of the exciting experience I had in Slovenia along with a full description of the final output of my project. I will begin with the exciting part. 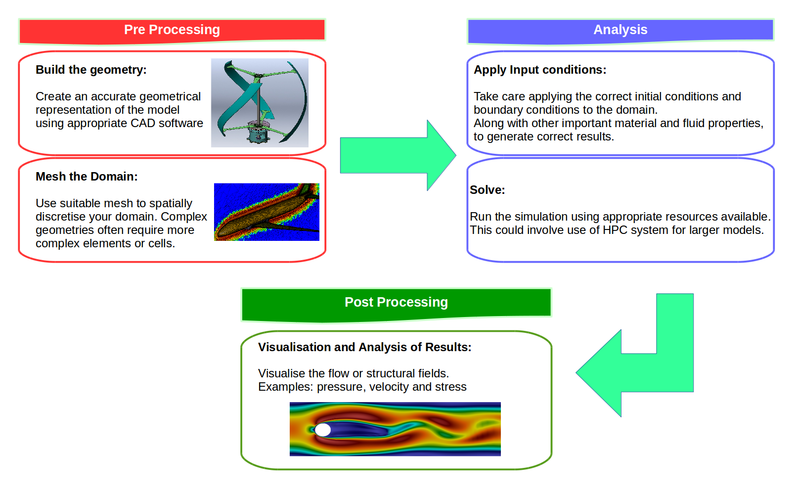 The project involved two key parts, Firstly to automate the Computational Fluid Dynamics (CFD) workflow that many engineers currently do manually, and secondly use this script/code to consider the effects small details in the geometric CAD model can have on simulation results. For those of you that are thinking “CFD” that sounds like one of” them text acronyms” those pesky kids are using these days, I have attatched an image below summarising the steps that are required in an average CFD problem. All these processes are scripted, so each section requires the user to type in one command. 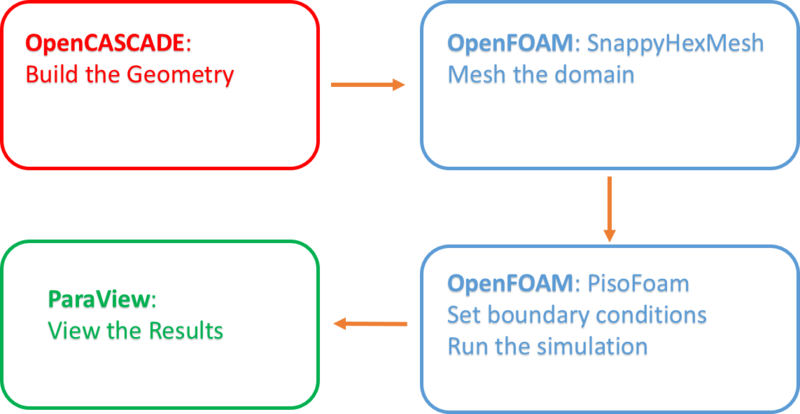 STEP 1 : The OpenCascade script developed builds an STL file of the geometry which is automatically copied into the correct directory ready for OpenFOAM to mesh it,(case/constant/trisurface). STEP 2 : The Snappy Hex Meshing instructions are listed in a file (snappyHexMeshDict) and define the constraints for the boundary layers and overall mesh structure. This algorithm is then run to mesh are specified domain. STEP 3 : The simulation is then run using a given solver that is defined in the simulation control dictionary, relevantly named “controlDict”. STEP 4 : Look at your amazing results in ParaView. You have seen the results but may still be thinking, ‘I don’t really know what I’m looking at’. In many engineering problems all we need to do is solve a series of equations, in fluid mechanics, they are known as the Navier – Stokes equations. And these equations model the pressure and velocity of the fluid. Above are some simple Large Eddy Simulations(LES), this is a method of modelling the complex turbulence in the flow, of a range of wind barrier angles, I hope you enjoy the colours, “rainbow desaturated” my favourite. If you are thinking what the donuts is LES, as mentioned earlier we are solving the Navier-Stokes equations, however these can be quite demanding to solve, so we simplify some of the more complex “stuff” i.e. chaotic flow going on in the fluid, using a turbulence model. 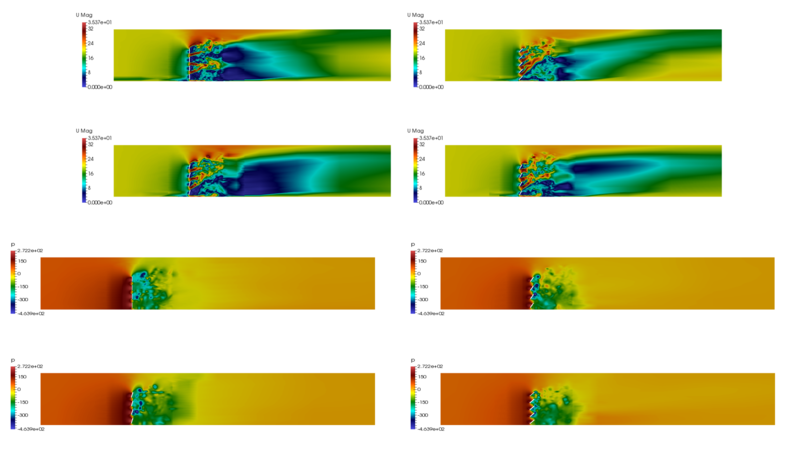 There are a number of turbulence models available with LES being one of the more complex. Maybe I’m not the best at squeezing things into a word limit but I hope the above has given you an idea as to what CFD is and why we want to automate it these processes. 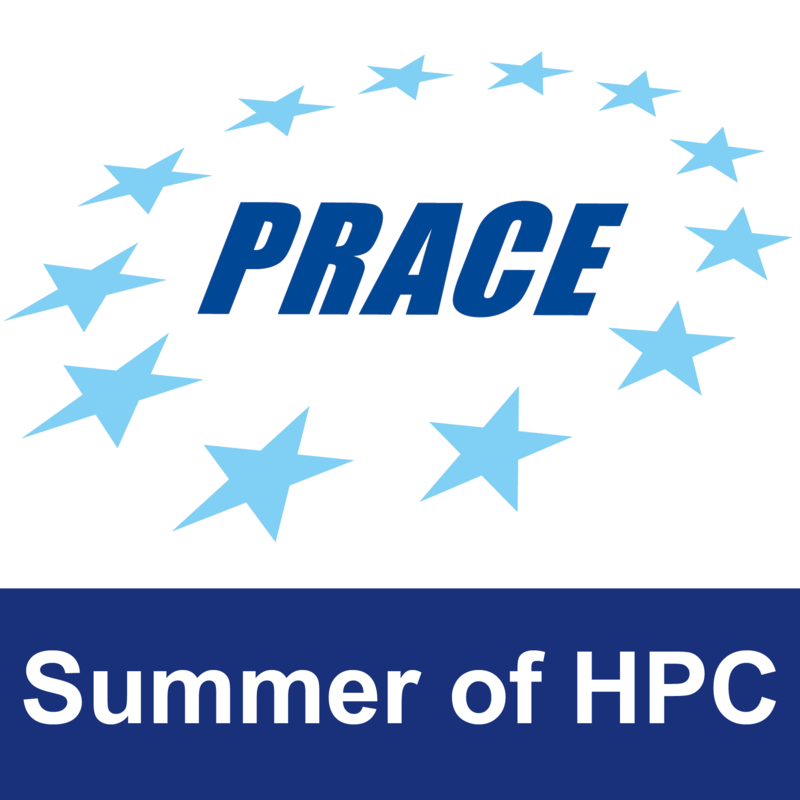 Just before I bid the Summer of HPC a farewell I would like to leave you with some more images of my time spent here, and to say thank you to everyone involved, including my supervisors Marijo and Leon, and everyone at LECAD lab who put up with me accidentally running a slightly large simulation on the login node and slowing everything down. ‹ Greece. A place to be.